I have two youtube channels. If I start one more I’d have as many channels as my TV did when I was a kid. And probably about as many viewers as 7,11, and 4 did in my little community of Bethlehem, Arkansas. No, not really, even back then and out in the middle of a soy bean field more old farmers watched Lawrence Welk than my limited viewers watch me. It’s mostly a scrapbook kind of place with memories saved of motorcycle rides with my friends. Every year about half a dozen buddies from around the country trek out here to see me and ride some old bikes out to the desert. It’s also where I keep my “creepy film” that I made with Art in 2007. Won some prizes, made some friends, but none that ride motorcycles. I’m trying to get 1000 subscribers to this one so we can monetize it, not that I expect to make money on youtube. I’m trying to give away a musical Sherwin and I wrote 30 years ago and then did a revival last year. It did pretty well, sold out 7 shows to about 10,000 and live streamed it to about 18 different countries around the world. 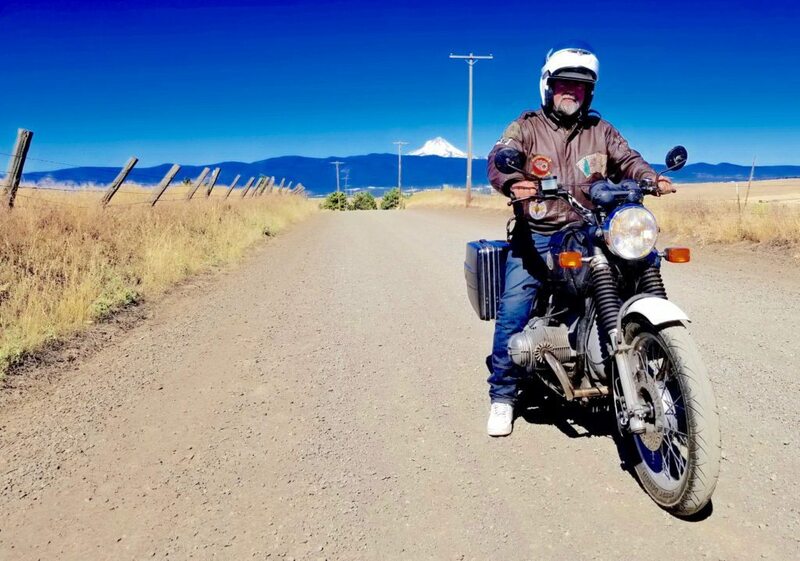 If you like to get ideas about how you can make videos about motorcycle trips with friends, you can subscribe to my channel and then go out there and try to do better.